Amongst all the digital camera manufacturers of today (Casio, Fuji, Panasonic, Sony, Pentax, Nikon and Canon), Nikon is considered to be a biggie that has been launching cameras in the market for almost 50 years now. Therefore, the reliability upon features and quality of the cameras offered by Nikon are high. In the recent years, the Coolpix range of Nikon created a huge customer demand. The specialty of this range is the world class Nikon “Nikkor” lenses that give great clarity and sharpness to the images. Also, their easy to use features and simple menu enables even inexperienced photographers to take high-quality shots with comfort. Here are the latest Nikon Coolpix range of digital cameras. Introduced in the market in February 2011, Nikon Coolpix L23 is aimed at the beginners, with very basic features and is quite handy for holidays or outings. The 10.1 megapixel, 5x optical zoom, 2.7 inch LCD monitor and easy to use auto modes makes it a perfect choice for obtaining quality pics without much botheration. The buttons are placed in convenient places which make them easy to click without viewing closely. Instead of a lithium ion battery, Nikon Coolpix L23 uses two A-A size batteries to power itself. Easy and handy, this range comes in 5 stylish colors to choose from- red, black, blue, silver and pink. Features include red eye removal, smart portrait system accompanied with a smile timer, monitor brightness boost, 17 scene modes and electronic vibration reduction. This camera is priced at $94 approx. Launched in March 2011, this camera is a successor of Nikon L110 from 2010. If you are looking for a compact point and shoot camera with long zoom range, Nikon Coolpix L120 is for you. It contains 21x optical zoom lens that allows you to shoot at broad focal length from 25 mm wide to 125 mm telephoto. So, you can shoot anything from everyday shots to landscapes and distant objects. Also, the macro mode allows you to shoot closeups up to 1 cm. The camera is equipped with a side control lever to smoothly zoom in and out as per your needs. Other features of Nikon Coolpix L120 include a wide 3 inch high resolution LCD screen, 20 scene modes and a HD movie recorder with stereo sound effect. In addition, a sport continuous mode is also provided that lets you shoot upto 20 frames at 15 frames per second giving you the freedom to capture randomly fast moving objects. This range comes in two classic colors of wine red and black and is priced between $249 to$279. Other features are similar to the L23 series. Released in February, Nikon Coolpix P300 is a successor of P7000 released in 2010. This lightweight camera has a 4.2x zoom high refractive index lens that allows you to capture clear images in very bright light. This provides a sharpness to your photos in spite of the contrast. Also, a backside illuminated CMOS sensor helps you to take less noisy photos in dim light. This feature specially comes in handy while shooting indoors and at night. With a 3 inch color monitor, HD movie recording, surround sound, 12 Mp resolution multi—frame ISO, twin control dials and various special effects and filter effects, this camera is designed for a high class shooting experience. The camera has all the four exposure modes found in advanced cameras – the auto mode, shutter priority, aperture priority and the manual mode. Available in a single color black, this camera is priced at $330 approx. This series was also released in March 2011. 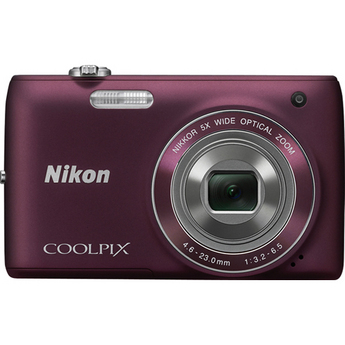 If zoom capacity is all that matters to you, Nikon Coolpix P500 would be an ideal deal for you. It is the successor of the Nikon Coolpix P100 and has a 36x mega zoom capacity with the aid of a 35 mm lens; helping to shoot distant objects of long focal lengths. Like L120,this model too has a 3 inch LCD screen and a zoom control side-bar. The high- speed 12.1 CMOS illumination sensor placed at the back of the camera enables you to take good quality images even in low-light. Additional features include recording speed adjustments, capturing still images while recording, manual shooting mode and vari-angle monitor. Rest of the features are similar to the Nikon L120 series. Available in two colors of black and red, these cameras cost $400 approx. 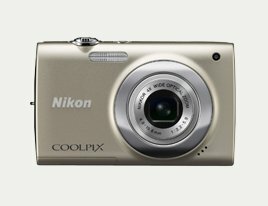 Launched in March 2011, Nikon Coolpix S2500 has a regular 12 Megapixel CCD sensor instead of an illuminated CMOS sensor. 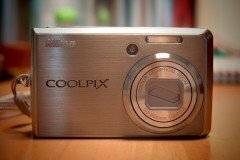 Alongside, it neither has a touch panel like the other cameras of the Coolpix S series nor does it boast of recording full HD movies. Instead it can record only a VGA footage of 640*480 resolution max. It does not have the option of filter effects either. But it has a good 12 MP sensor for quality photos. It has a 4x zoom lens and 17 screen modes including blink proof and smile timer modes. There are five color options to choose from; black and white, sepia, cynotope, standard and vivid. 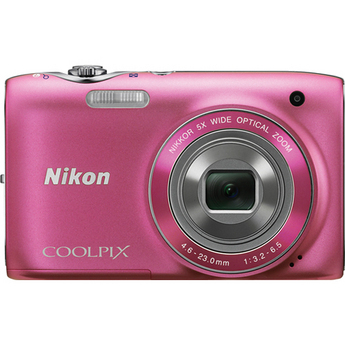 Nikon Coolpix S2500 is quite lightweight(117g) and comes in four different colors – black, red, silver and pink. Overall, this is an ideal beginner’s point and shoot camera which is quite affordable at a price of $100 only. 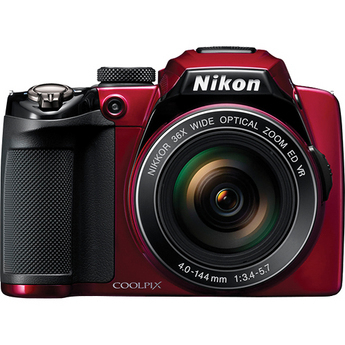 Launched in March 2011, Nikon Coolpix S3100 is quite similar to the Nikon Coolpix S4100 range. With 5x zoom lens and a 2.7 LCD monitor, 19 scene modes, soft light and HD recorder, the Nikon Coolpix S3100 contains most of the features of S4100. But what sets it apart is its weight and variety of colors. This camera weighs just 118 grams and comes in seven vivid and stylish colors of black, silver, red, blue, pink, purple and citrus yellow. This camera is priced at $150 approx. Get it here. Nikon Coolpix S4100 was launched in the market in March 2011. It is primarily meant for those who love touch operations instead of clicking buttons. This compact camera has 5x optical zoom lens, 3 inch LCD monitor, HD recorder and various scene modes like the other cameras of the coolpix range. But what makes it special is its in-built editing tools which allows you to add special effects to the image. 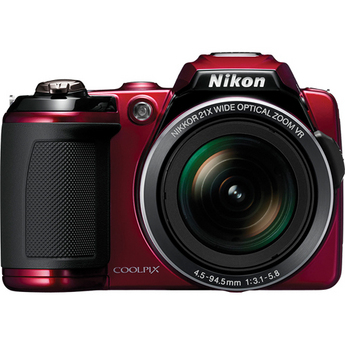 Nikon Coolpix S4100 comes in four vivid colors of black, silver, red and plum with a price setting of $180 approx. Get it here. Released in March 2011, Nikon Coolpix S6100 is an upgrade of the Nikon Coolpix S600 released in 2010. With 7x optical zoom lens and vibration reduction 16 Mp CCD sensor, this camera provides a rich photographic experience. It has an inbuilt “View NX2 package” that helps in the downloading and editing of images superfast (when you hook up your card to your computer). 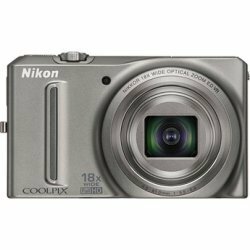 Other features of the Nikon Coolpix S6100 include 3 inch LCD monitor with an angle touch panel, filter and special effects, one touch HD movie recorder with surround sound, red eye reduction, quick retouch, soft focus, different scene modes, etc. It comes in four cool colors; silver, violet, black and red and is priced at $200 approx. Most of the cameras of the S series in the Coolpix range can be distinguished by their touch panel monitors. 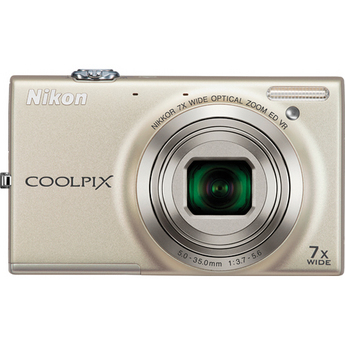 Nikon Coolpix S9100 is no exception to this. Released in March 2011, this one is special because of its high sensitive ISO of 6400 that enables capturing clear photos in different lighting conditions. And the one touch option to record high quality HD videos makes it all the more desirable . The zoom control is an enhanced 18x. There is an additional shooting mode called the “Pet Portrait” mode to shoot pets. In addition, some special effects for shooting landscapes at night have been included. Just like the P500 range, this model also has a 3 inch high resolution LCD screen, back illuminated CMOS sensor, auto modes, stereo sound and vibration reduction. 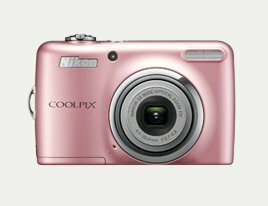 This camera comes in three vivid colors, black, pink and silver and is priced at $330 approx. Get it here.